In stock -This product will ship today if ordered within the next 10 hours and 15 minutes. lavera Natural Lipstick - 16 Fuchsia Pink is a luminous pearlescent lipstick with a soft creamy texture to look after and protect your natural lips, creating eye-catching beautifully looking, luscious, kissable lips. 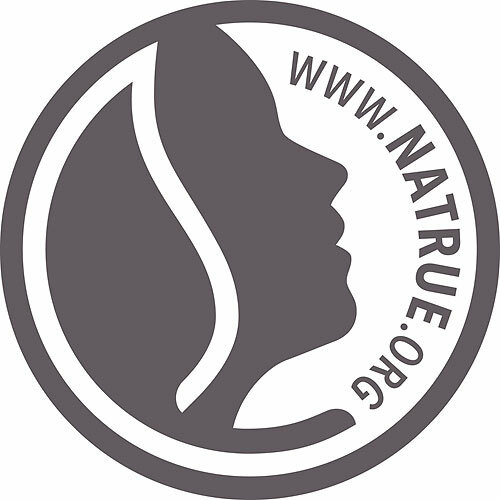 The natural formula of the organic lipstick is enriched with natural and organic waxes and oils protecting your natural lips from chapping during the cold, windy, winter days. 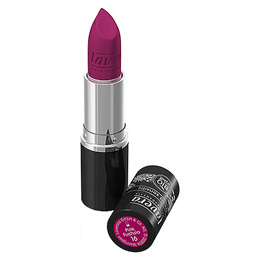 Lavera Natural Lipstick - 16 Fuchsia Pink - 4.5g. Ricinus Communis (Castor) Seed Oil*, Carmine (CI 75470), Mica (CI 77019), Copernicia Cerifera (Carnauba) Wax*, Rhus Verniciflua Peel Wax, Euphorbia Cerifera (Candelilla) Wax, Titanium Dioxide (CI 77891), Simmondsia Chinensis (Jojoba) Seed Oil*, Butyrospermum Parkii (Shea Butter)*, Cocos Nucifera (Coconut) Oil*, Theobroma Cacao (Cocoa) Seed Butter*, Prunus Amygdalus Dulcis (Sweet Almond) Oil*, Olea Europaea (Olive) Fruit Oil*, Argania Spinosa Kernel Oil*, Dipotassium Glycyrrhizate, Hippophae Rhamnoides Fruit Extract*, Malva Sylvestris (Mallow) Flower Extract*, Tilia Cordata Flower Extract*, Rosa Centifolia Flower Extract*, Tocopherol, Ascorbyl Palmitate, Helianthus Annuus (Sunflower) Seed Oil, Alcohol*, Flavor (Aroma). For best results, first line your natural lip line with a lip liner, load a lip brush with the fuchsia pink lipstick and fill in the lip area. Below are reviews of lavera Natural Lipstick - 16 Fuchsia Pink - 4.5g by bodykind customers. If you have tried this product we'd love to hear what you think so please leave a review.